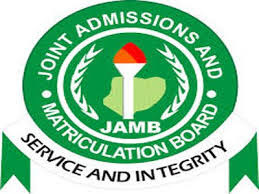 Joint Admissions and Matriculation Board says it has released the results of 1,502,978 candidates who sat for the 2018 Unified Tertiary Matriculation Examination. The board disclosed this in a statement signed by its Head of Media, Dr. Fabian Benjamin in Abuja on Tuesday. Read Also: How to Check 2018 JAMB UTME Results Online. According to the statement, the board released the results after viewing all CCTV footage during the conduct of the examination and also after considering reports from its supervisors who monitored the exercise. The board stated that a total of 1,652,825 candidates registered for the 2018 examination, adding that the results of 112,331 candidates were yet to be released. The board stated that the figure excluded foreign candidates whose examination was scheduled for April. The 2018 UTME commenced on March 9 and ended on March 19.
adding that JAMB would scrutinise candidates’ results before releasing them to avoid multiple cancellations later.